It has been long time to make cover for songs. Well, this cover is the one I like best of all cover I made before. Of course that I hope you like it too ! Today I want to say something about one of my fav song “After Loving You” (OST Steal My Heart). All I can say is the lyrics of this song is so good and furthermore it was presented by Shin Yang ssi, it made the feeling is getting more perfect!!! So Japanese is remaking of hit Korean Drama 《War of money》 and it has just released trailer recently. First, I’m not going to talk about the appearance or acting of actors and actress. 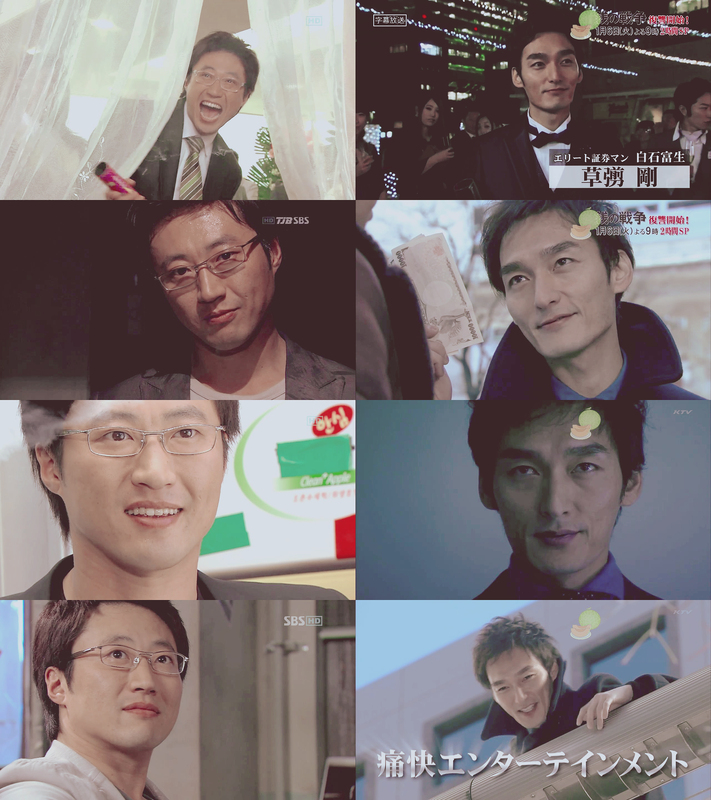 Let’s compare some scenes between two actors: Park Shin Yang and Tsuyoshi Kusanagi. Well, about the look are pretty alike, expression of eyes are quite same. The most interesting of this drama is this part, Park Shin Yang is totally good and hard working in acting when made Geum Nara becomes poor, dirty,.etc. But when I look at Japanese version, I think it doesn’t good enough.